Architect: Frits van Dongen (van Dongen-Koschuch Architects and Planners) at that time: De Architekten Cie.
Landscape Design: Frits van Dongen (van Dongen-Koschuch Architects and Planners) at that time: De Architekten Cie. 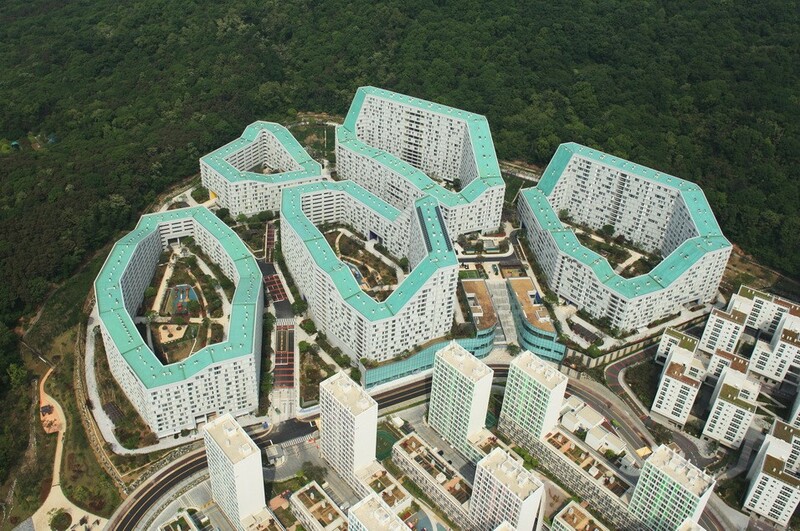 In the hills of the Gangnam district south of the city centre of Seoul is a residential area of 1500 households realized. 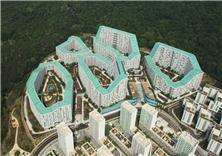 The initiative for the housing complex of 180.000m2 was launched by the Korea Land and Housing Corporation (KLHC) in April 2010. 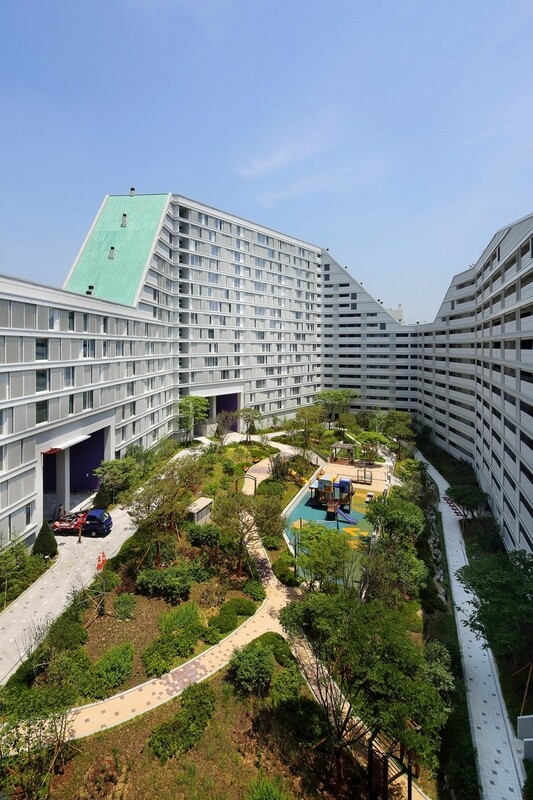 The objective of the KLHC was providing affordable public housing for low income families with the focus on providing a new public housing prototype in Korea. An urban plan was developed for the Gangnam District that is based on the topography of the landscape of the site. 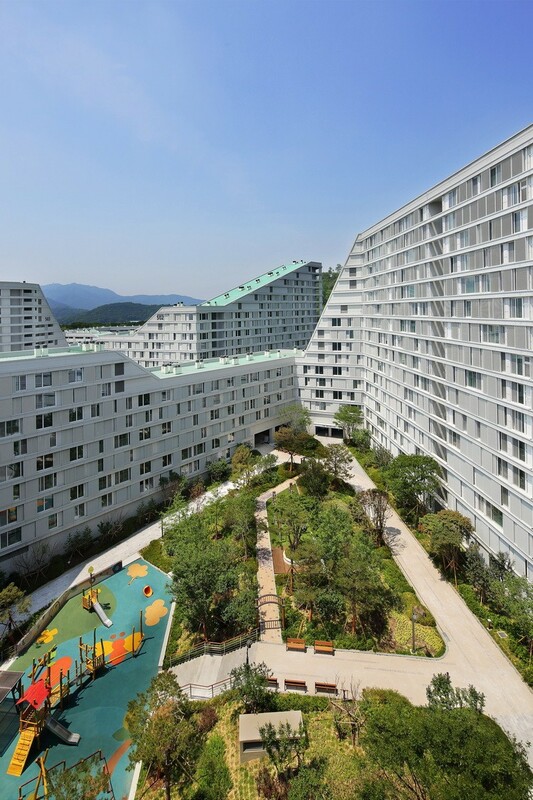 Within the sloping green hills of Gangnam lies an ensemble of urban blocks, a layout that is not seen often in the housing market of Seoul. 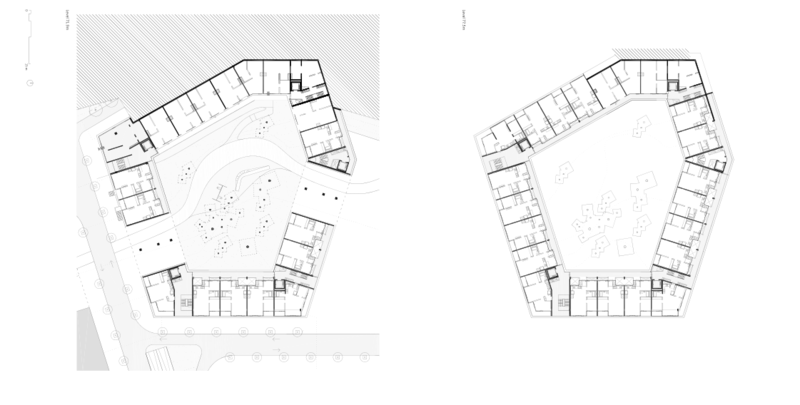 The design of the urban block is a new typology called ‘Tower Block Hybrids’, conceiving not only housing units but also public roads and private inner courtyards. 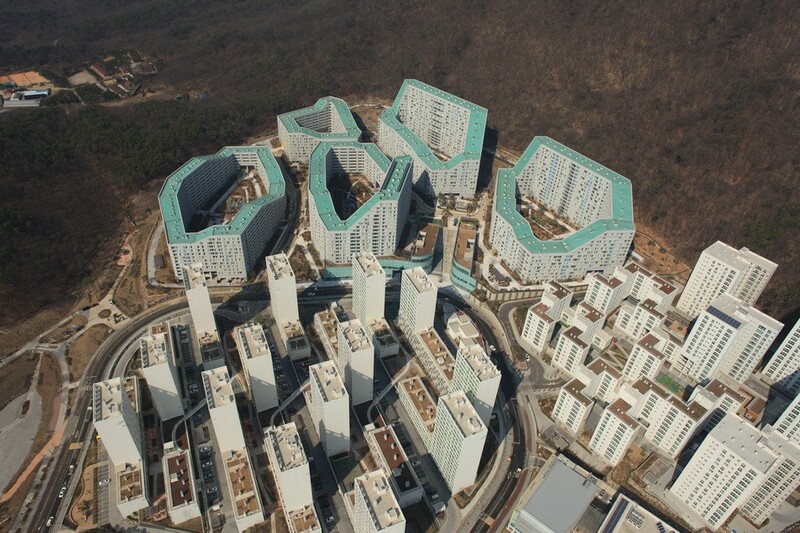 The design of the Tower Block Hybrid proposes not to be another housing tower of just suburban ‘Sleeping City’ but to be a real neighborhood: a community which is connected to Seoul but largely self-sufficient. The existence of a community is based on the possibility for social interconnection and the sense of ownership, a pride of place. To achieve this the Tower Block Hybrid has a clear distinction between public and private outdoor space. Each individual block has its own courtyard that serves as a communal space with sport facilities, playgrounds and gardens. The housing units have a range of different typologies, serving a variety of income levels, households and lifestyles. Each house has a broad view over the landscape providing not only far reaching views but also regulating behavioural control within the block.